What a wacky summer it has been so far! 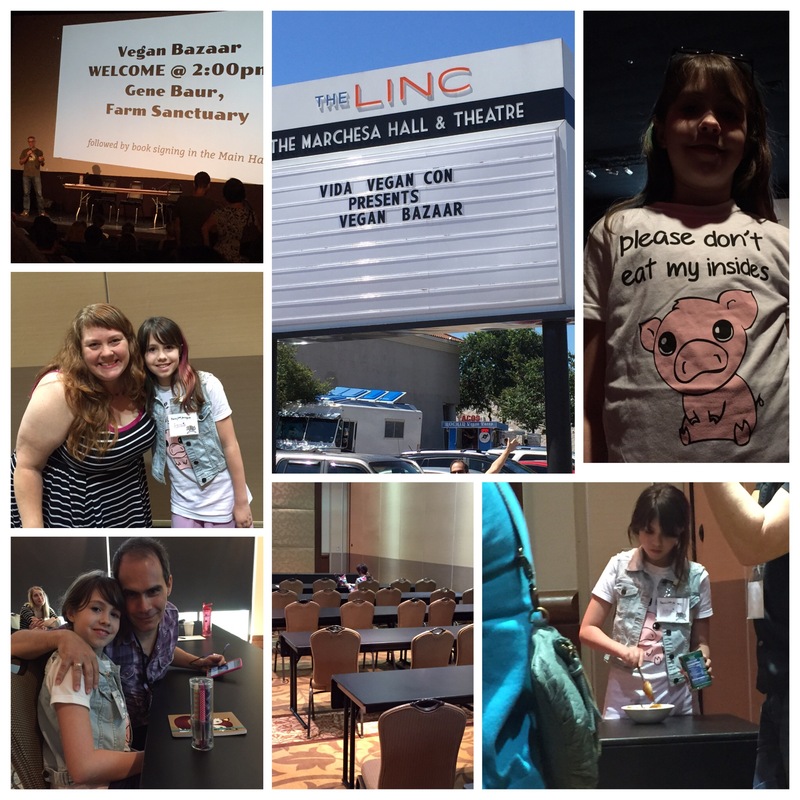 Here at the DeRobertis family we started summer off by attending Vida Vegan Con in Austin Texas. We made it a mix of work and vacation. Actually our first real vacation that wasn’t visiting family since Anzia was born. We had a blast! The event took place right after the storms flooded Texas and because of the rain people weren’t so interested in convertible rental cars, so we lucked into a super cheap upgrade, a convertible Mustang. Anzia really wanted to sit in the front seat and we told her she could as long as she navigated. She managed to co-pilot our entire vacation. 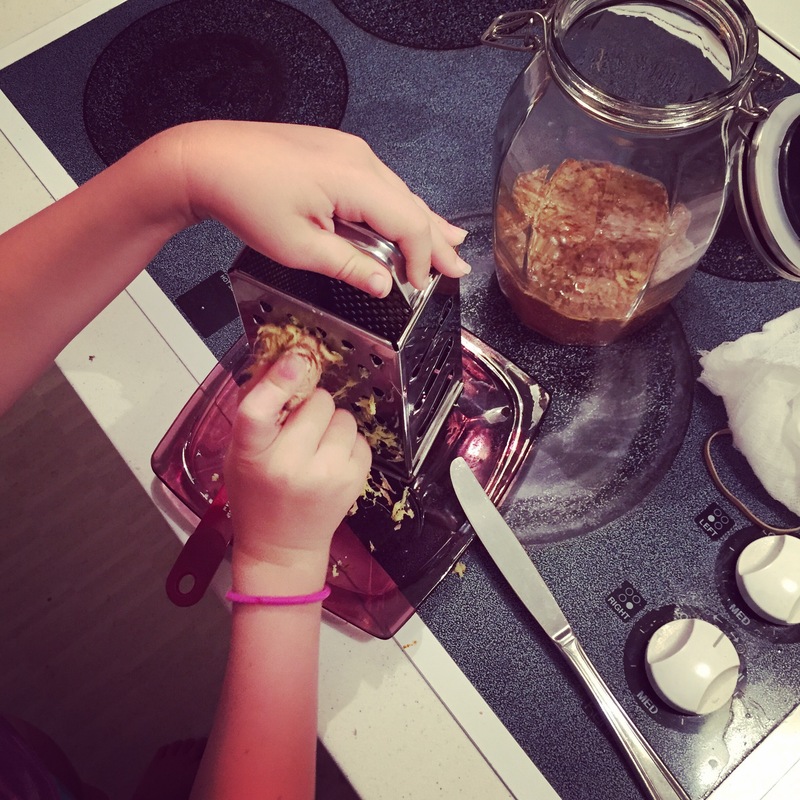 Home schoolers look for learning opportunities everywhere. Vida Vegan Con was inspiring. Anzia attended the conference also and even opted to take some classes on her own like food styling, and the vegan athletes class. She made more friends than Phillip and I.
I loved all the classes that I attended and walked way feeling inspired by them all. A few of the classes hit really close to home. I really loved both classes I took from Eco-Vegan Gal on a business level. Another was a class that Miyoko Schinner ran. What an amazing speaker she is with quite the story to tell. The part that hit closest to home was how she was in a successful career but felt empty. This is the exact stage my life is in right now. I have worked for 14 years to get to the top of my field and now that I am exactly where I always thought I wanted to be I have a terrible feeling of emptiness. I have realized that I need to be doing what I am truly passionate about but most importantly figure out what that is. The other class was presented by a panel of women, with the topic being Feminism & Veganism. It was an interactive discussion with lots of engagement from really passionate people. The part of the conversation that resonated with me the most was how segregated activist can be, and how so many will support animal rights but not other areas of social justice, like basic human rights, whether it be the LGBTQ movement, black lives matter, or female rights. During this session I realized that this is partially what began my distancing myself from my own blog. As I started paying more attention to the number of followers, I noticed that if I went off the topic of food, whether it was posting animal rights pictures, or other political topics, I would lose followers, and I found this depressing. The more I looked at blogs I admired, I realized they rarely got political at all. Rather than being a voice for what I believed in I was playing the political correctness game, as to not offended anyone and ultimately not to lose the precious numbers. I know now that this is out of my nature and lacks integrity. I also learned from the conference that I need to have a voice and stick with it. I am currently trying to figure it out. The conference was full of other great speakers and lots of amazing food! 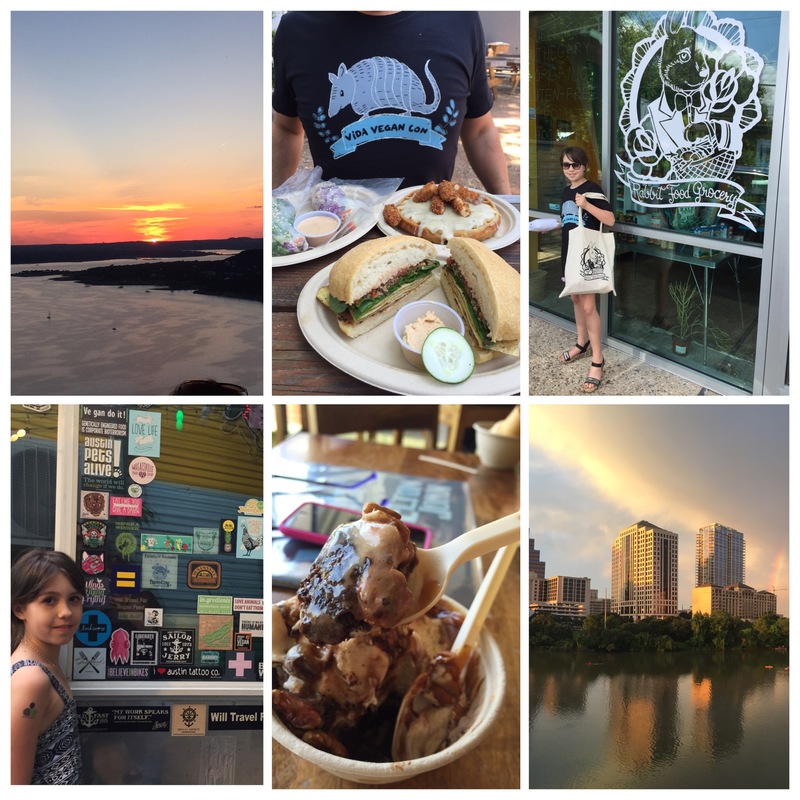 Austin was also a fun place to visit and we got to see the bats! Shortly after returning we got a call in the middle of the night saying that my father in law, who was on a list for a liver transplant was going to receive his liver. 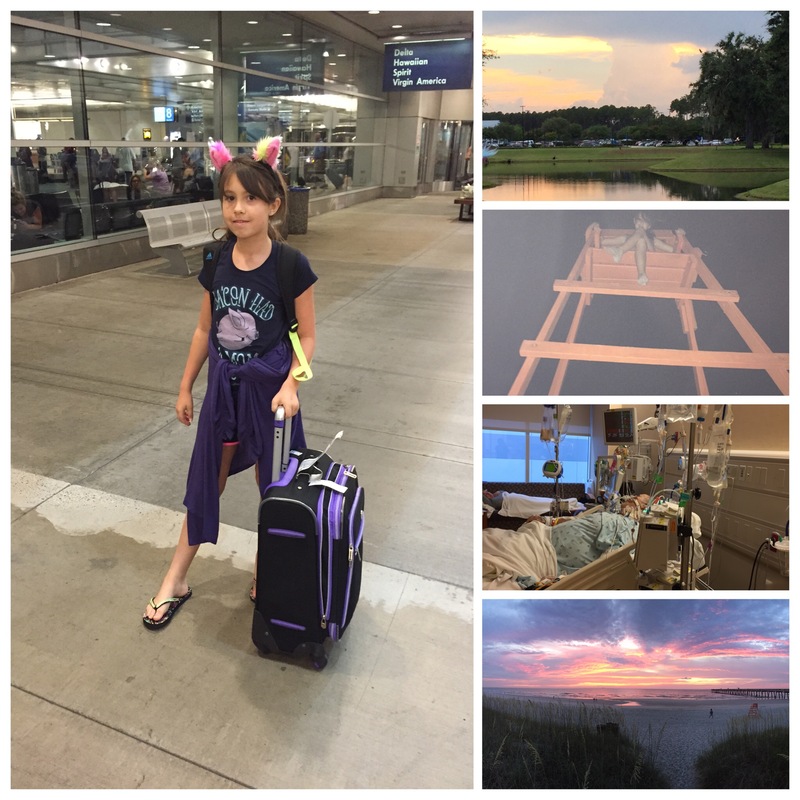 My husband Phillip was the assigned care giver, so he had to fly out the next day to Jacksonville, Florida, and was gone the next six weeks. With his leaving our show was put on hold along with all the plans we came up with for the blog after the conference. His dad made it through the surgery but the weeks after were rocky. Anzia and I were able to surprise him for Father’s day which was a nice break from the craziness for all of us. Phillip got home just in time to celebrate our 15th wedding anniversary and to send Anzia off for her week of Youth Empowered Action (YEA) Camp. We would like to give a heartfelt thanks to all of you who helped support her effort to earn money for camp by either sharing her Go Fund Me or buying a book. She reached her goal. While she is gone this week I will be finishing up the editing so that when she gets back we can start putting the books together and getting them shipped out. 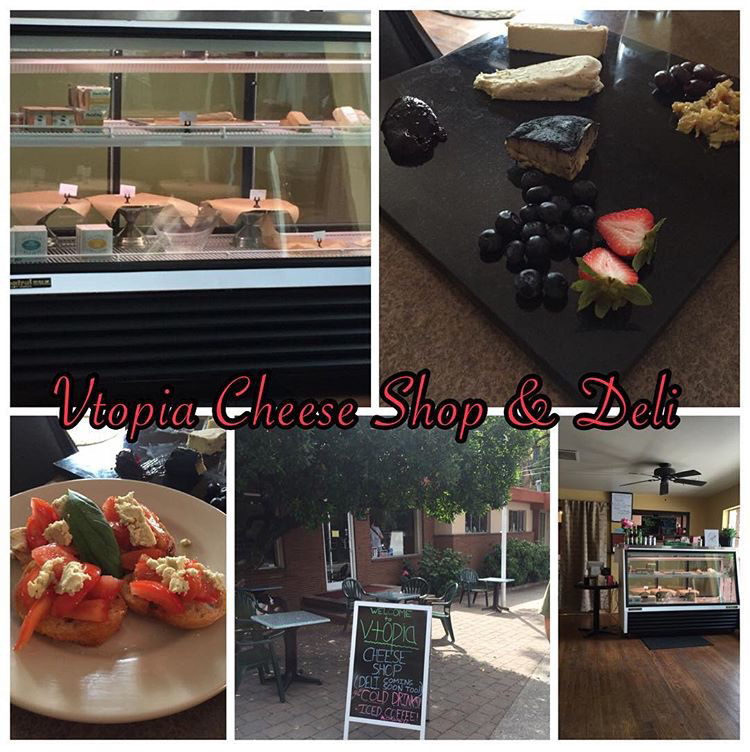 Vtopia Cheese Shop and Deli opened and we got to try it out! They have a large variety of vegan artisan cheeses made by different brands. You get to make your own cheese platter. Oh so good! We have been talking to some really cool people who are coming on to guest appear on the show! 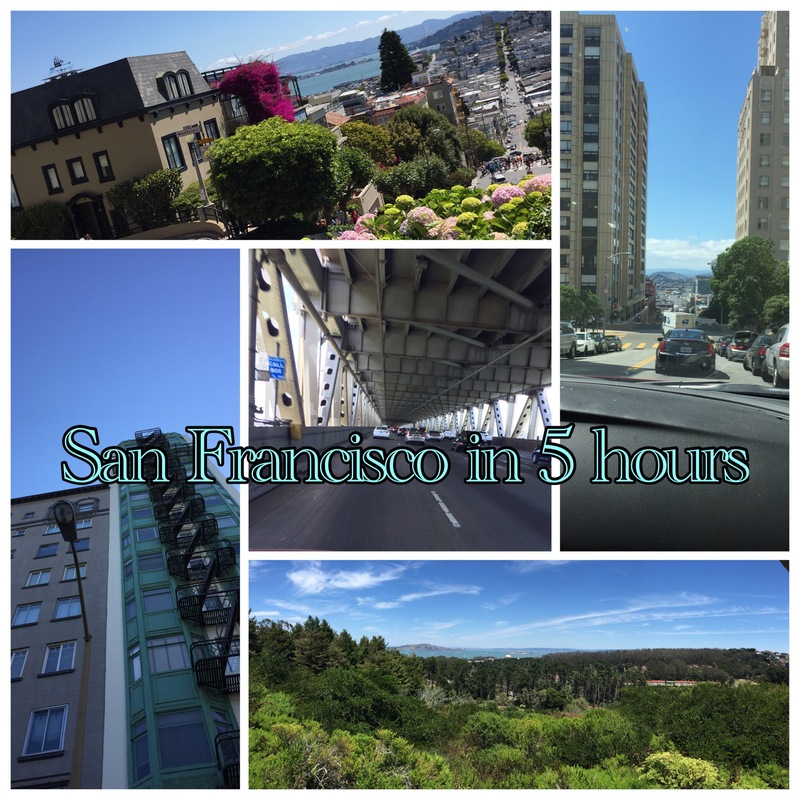 Anzia and I took a road trip to California. 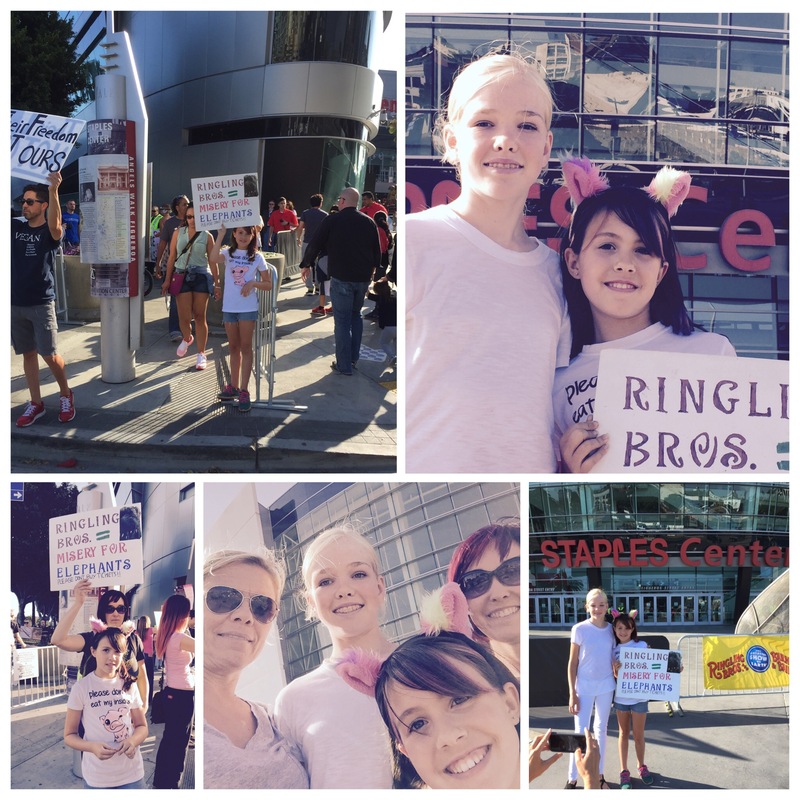 While we were there we did our first protest at the Staples Center in Los Angeles against Ringling Brothers. Anzia also got to meet Lila from Earth Peace Foundation. On our way way to Oregon we stopped off in San Francisco for a day. We had some amazing vegan food. 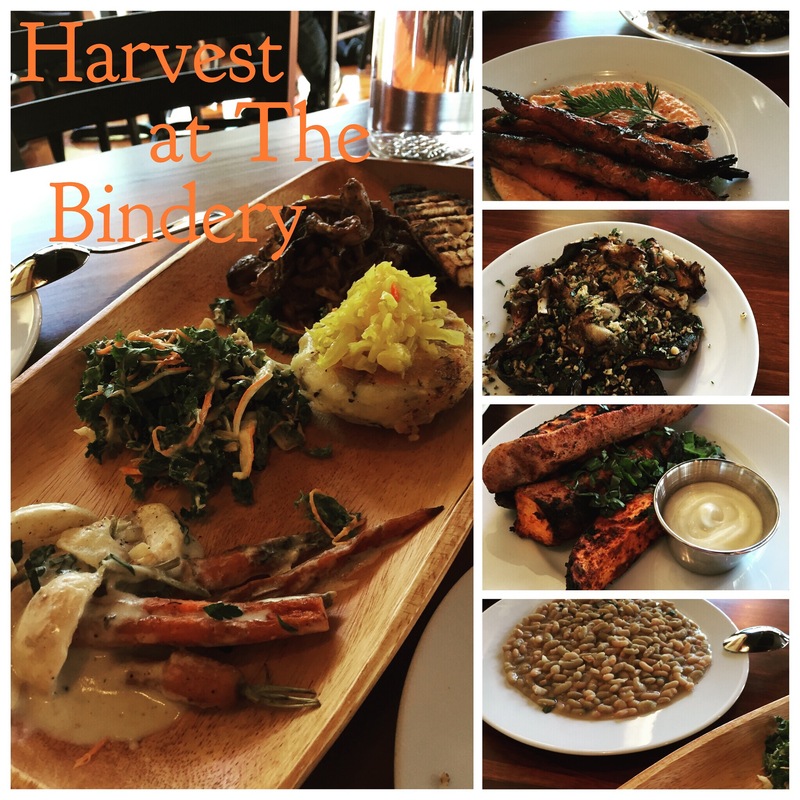 We have fallen in love with a vegan restaurant in Portland called Harvest at the Bindery. The BBQ mushrooms and roasted corn were our favorite! 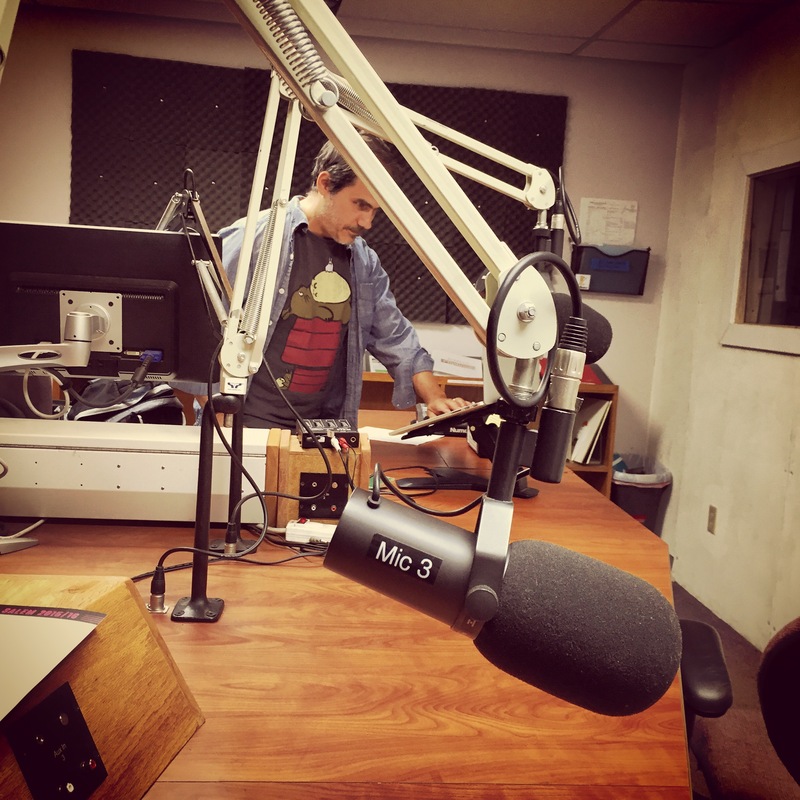 The last episode of Don’t Fear the Vegan is still running on our local television station. As soon as the next Episode airs we will give away the tofu press. If you haven’t already, follow us on Instagram to get a look at what we are doing. @dont_fear_the_vegan. I tried making a ginger bug. It died. 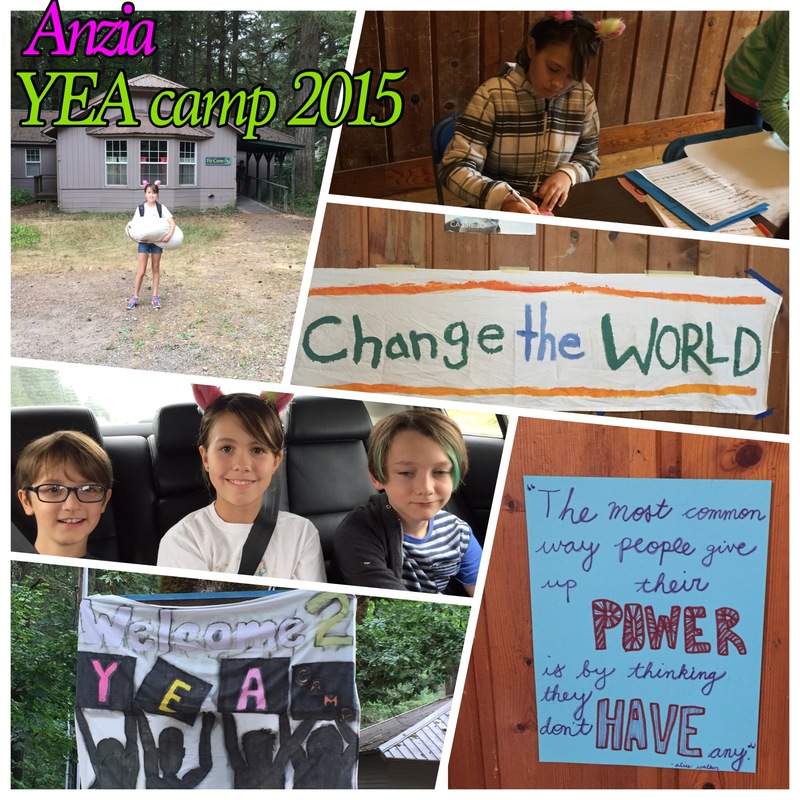 When Anzia gets back from camp we are going to try again! We adopted a new kitty who had been living in the parking lot at work after placing a found ad and checking for a chip. His name is Little Joe. What have you been doing with your summer? We would love to hear about it! This entry was posted in Random info. Bookmark the permalink. Wow well you certainly have had a busy summer! You have a good kid, the world needs more people like her. I will keep your father-in-law in my prayers. Thank you for rescuing that kitty. 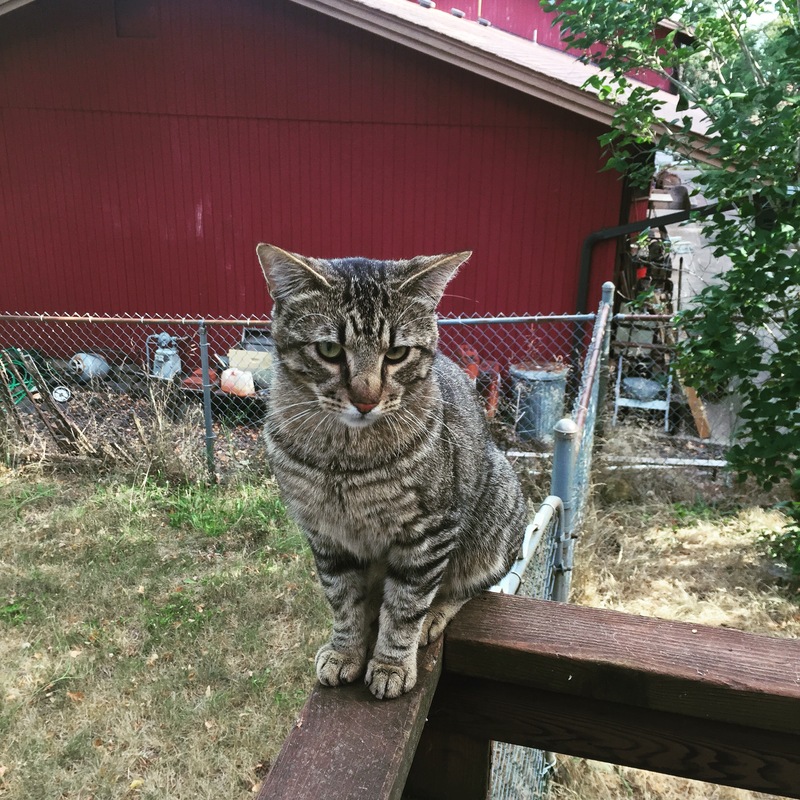 Have your vet check his stool for parasites, and doo a feline leukemia test on him. I wish you many happy years with this cat. We will get him the full check up! Thanks for the prayers. I’d have to agree, Anzia is pretty cool!